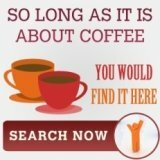 A single cup coffeemaker for less than twenty dollars – what’s the catch? There has to be a catch. 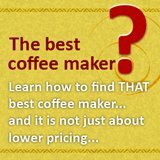 You cannot purchase a single cup brewer for less than twenty dollars without there being some trick involved. Well the truth be told there is no hidden trick. Melitta’s Ready Set Joe mug and come filter is the simplest from of single cup coffee maker that there is and on some online sites this single cup coffee maker is retailing for less than ten dollars! For this price you surely do not expect a plug in drip filter coffee maker? 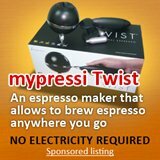 For this price you get a single cup coffeemaker in its simplest form. 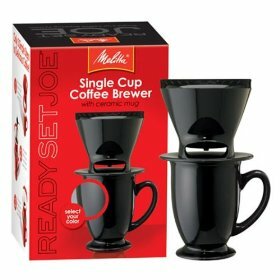 You are able to make very good coffee with this Ready Set Joe mug and cone filter set from Melitta. In fact for less than eighteen dollars you can purchase a single cup coffee maker, a box of brown cone filters and some filter coffee. It certainly is not a state of the art coffeemaker but then again for that price you are not expecting one. The great thing about the single cup coffee maker from Melitta is that you are able to make good coffee as long as you have hot water. In fact, this single cup coffeemaker from Melitta might allow you to enjoy French drip coffee Louisiana style without having to fill an entire coffee pot. The old-timers in Louisiana have been known to spoon the hot water over the grounds and there by produce a rich and oily coffee which is so typical of this manner of making coffee. This is not to be confused with French press. French drip coffee needs coffee grounds, a filter and hot water which is added very slowly to the grounds. You can do this too with the single cup coffee maker from Melitta. The slower that water is added to the cone filter sitting on top of the mug the closer the coffee you will be making to the characteristic coffee produced using the French drip method of making coffee. Of course you do not always have to do it that way. The careful pouring of hot water over the grounds need not be done as slowly as that. However, it would be wise to accommodate the size of the cone filter in your deliberations on how fast the water can be added to the grounds. A small filter can only cope with so much water at a time. 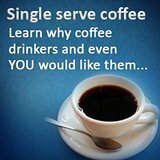 However, there is no reason why one cannot enjoy a good coffee from a single cup coffeemaker.